Rotary Clubs in District 7040 sponsor several "Adventure" programs. 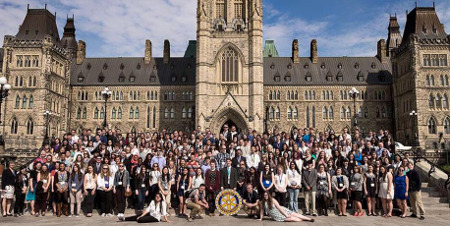 Adventures in Citizenship, sponsored by the Rotary Club of Ottawa, provides a unique opportunity for a select group of young Canadians to come together to gain a better understanding of their country. The program includes meetings with political leaders and senior officials. Participants learn to appreciate the diversity of Canada and the privileges and responsibilities of Canadian citizenship. Adventures in the Environment, sponsored by the Rotary Club of Cornwall Sunrise, involves four days of field biology and environmental science with specialists from the St. Lawrence Institute of Environmental Sciences. Participant participate in hands-on environmental science activities such as fish identification and measurement, lab work, plant and invertebrate study, an adventure with bats and daily conversation with the technicians and scientists who work at the Institute. Adventures in History, sponsored by the Rotary Club of Cataraqui-Kingston, in partnership with the Rotary Club of Kingston, offers high school students the chance to explore the rich heritage of life in Kingston and the surrounding regions in Canada and the United States. The theme of the program is the history of youth justice and its lessons for today. 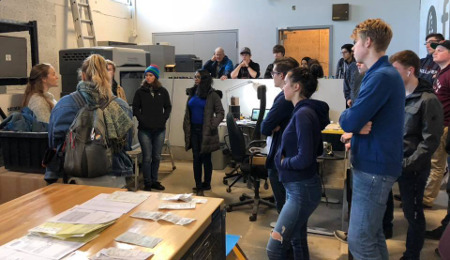 Adventures in Technology, sponsored by the Rotary Club of Nepean-Kanata provides high school students an opportunity to explore the potential of a career in the exciting world of High Technology. The program assists participants in making more informed career decisions.